A comprehensive and easily searchable knowledge base is key to surfacing relevant information agents can use to get customers back to their happy place. 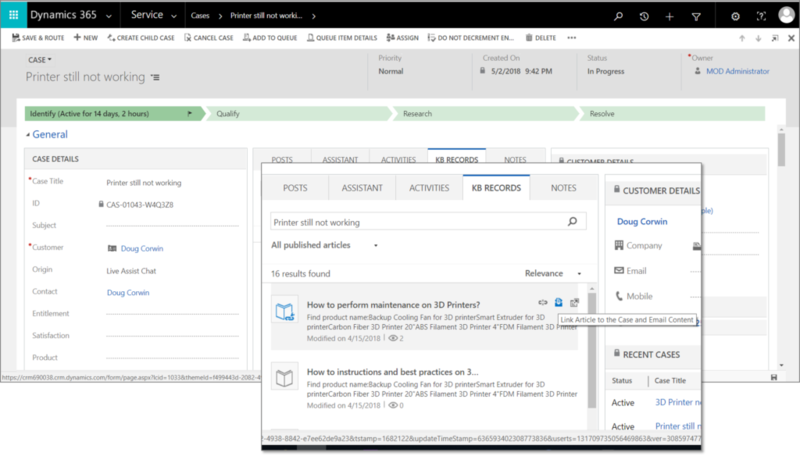 Knowledge Base in the Customer Service Case record provides users quick access to documentation, articles, and even digital content. 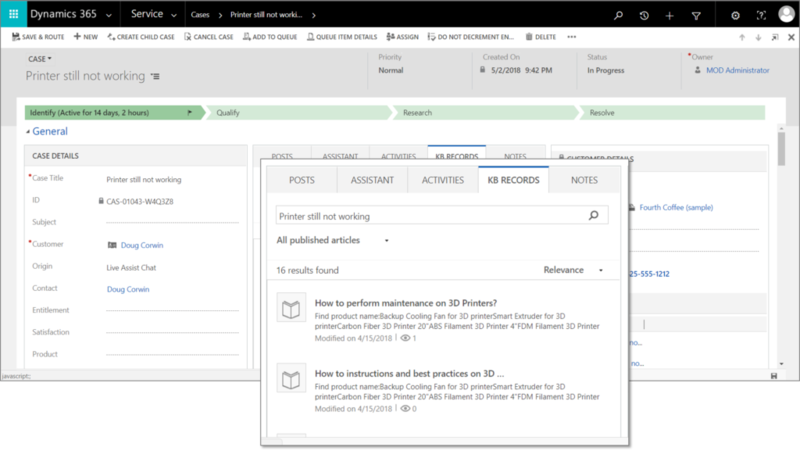 You can configure the Knowledge Base search control to show automatic suggestions in search results based on certain fields, like Case Title in this example. Under the KB Records tab, relevant information is displayed automatically. 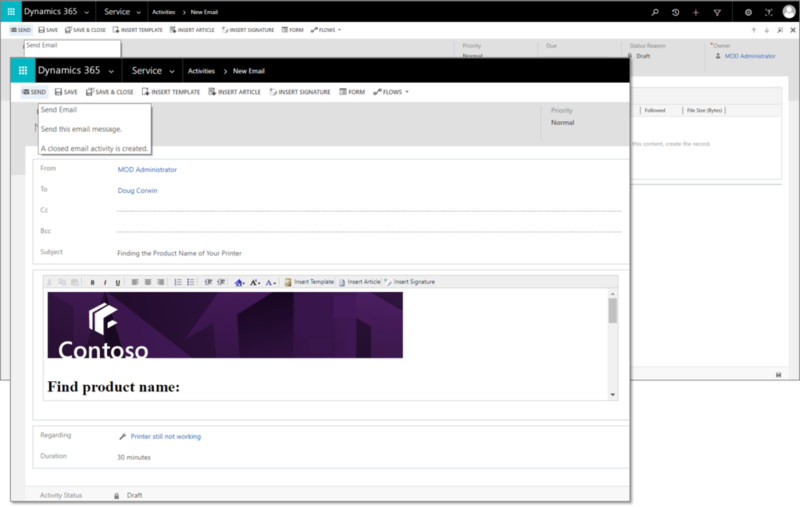 or attach the KB article to an email and send it directly to a customer. Ensure users enter data correctly and follow proper procedures consistently by creating a Business Process Flow. A business process flow defines the steps agents will follow to resolve your customer service issue. For example, you might want to create a Business Process Flow so specific customer service requests are managed the same way every time. 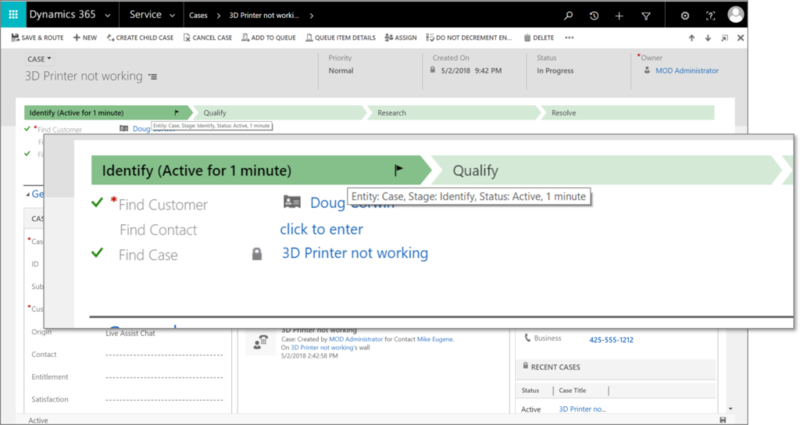 The Business Process Flow includes visual cues that guide agents through the case resolution process. 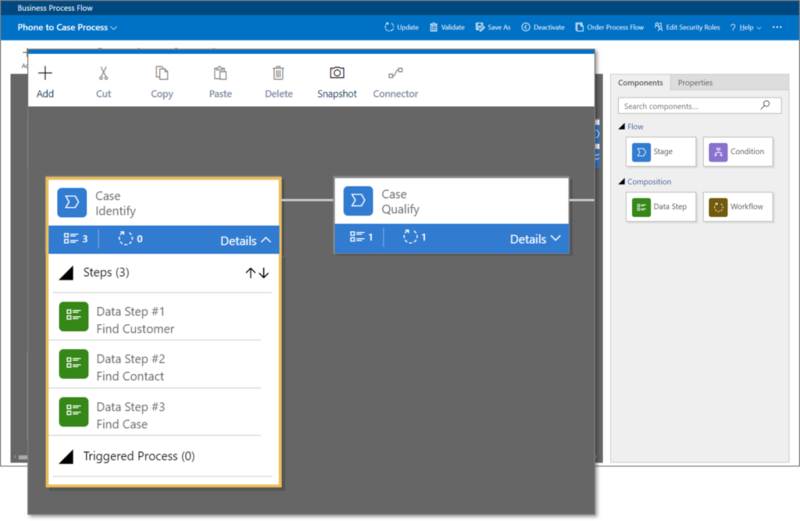 The Business Process Flow Designer gives you the flexibility to customize your process to incorporate multiple system entities and even branching logic. An added bonus–Business Process Flows reinforces agent training because new agents can let the process guide them to desired, predictable outcomes. Your Customer Service case records are rich with data reflecting the nature of your service issues and agent performance. That includes the source of the inquiry, incident type, product, chronic complainers, upsells, etc. Extracting meaningful insights from that data is fairly straightforward. System reports and dashboards are preconfigured to present you with key Customer Service metrics. The only question is how you want to see and work with the data. 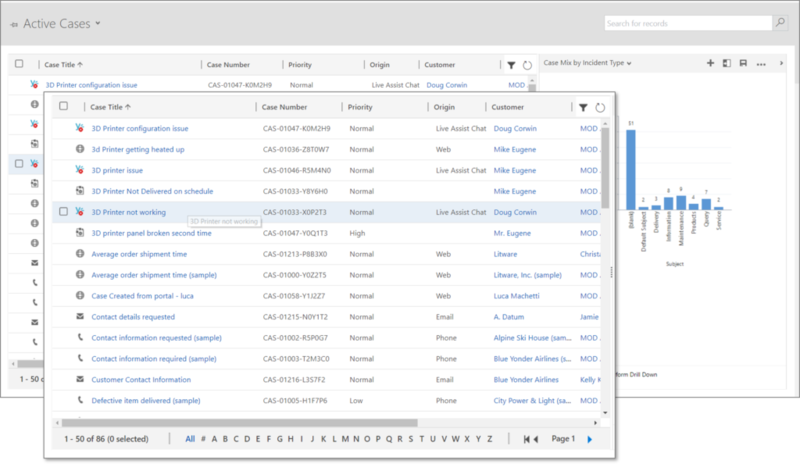 Customer Service dashboards provide an overview of what’s happening. You have the option of looking at the data in different chart formats. 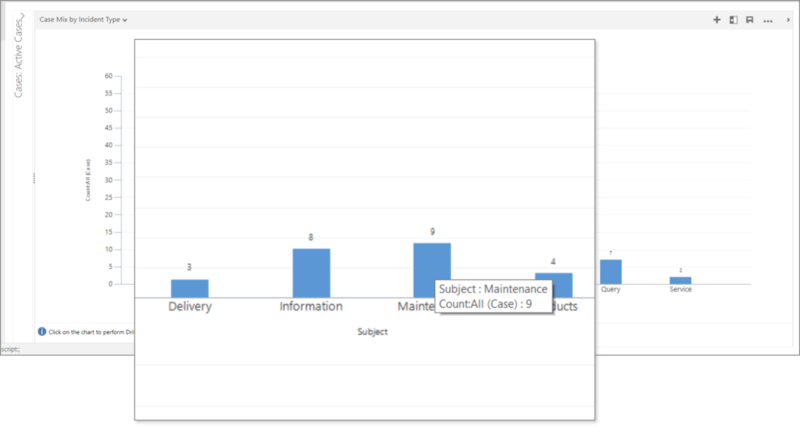 Here’s “Case Mix by Incident Type” represented as a vertical bar chart. That same data can be viewed and sorted in a System View. System Views are flexible and can be manipulated much like an Excel spreadsheet, even exported to Excel for further analysis and manipulation. Take data analysis to the next level with (free) preconfigured Power BI content packs. The visuals are pretty amazing and you have the added benefit of querying the data using natural language search. 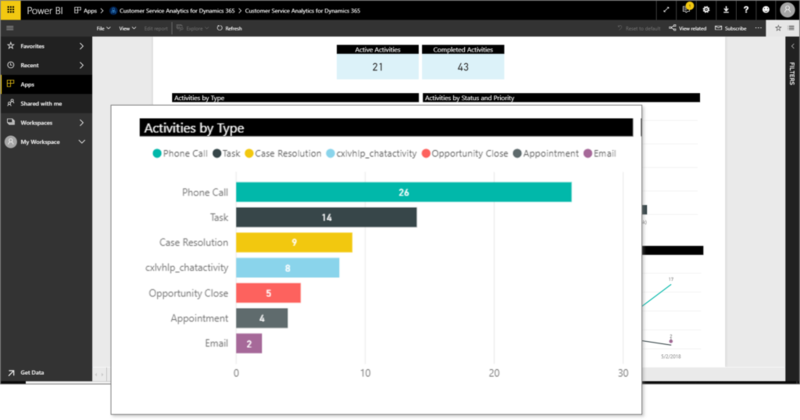 Visit our YouTube channel to see more about getting started with Dynamics 365 and Power BI. The bottom line is, upping your Customer Service game is possible for any organization with the budget and inclination to deploy and use the right tools.